A terrific Old Vine Zinfandel from a single vineyard and an epic vintage! 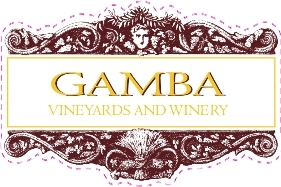 Wine Description: The Gamba Old Vine 2012 Starr Road Ranch Zinfandel reveals an inviting dark ruby-purple hue in the glass. A fascinating nose weaves aromas of blackberry bramble and cherry vanilla with essences of cider spice and nutmeg. On the palate, the intense layers of juicy dark fruits such as a black cherry, velvety blackberry and flinty plum flavors offer a richness that fills the mouth with essence of roasted fig, and pleasingly lingers on the palate. The fruit is framed by an appealing lift of acidity and complimented by freshly toasted cocoa, caramel and spicy, mild tobacco leaf. Finally, the wine is accented by soft tannins and lead to a long, balanced finish that invites the next taste experience. Planted in the Russian River Valley on a gently rolling hillside in 1920, the Starr Road Ranch Vineyard, formerly known as the Moratto Vineyard, is organically farmed, consistently producing low yields of the highest quality fruit year after year. We are excited to continue our work with this legendary vineyard site, and share the resulting wines with you.